One portion of a polarizing Soviet-Era war memorial in Riga, Latvia. Like many people in the United States, I was appalled by the violence that erupted this weekend at the white supremacist rally ostensibly organized to protest the removal of a Confederate monument from Emancipation Park in Charlottesville, Virginia. And, like some of them, I could not believe that it was happening again. You see, my native land, Latvia, was invaded by Nazi Germany during World War II. And support for this and other atrocious acts was spread by similar torch-lit, flag-waving, slogan-chanting rallies—first small, then massive—that Adolf Hitler used to fan the flames of racism and nationalism. Only then, it was the United States and its Allies that fought to restore sanity at considerable cost. Which few, I fear, tend to recall. Which is why we do need concrete reminders such as monuments in public places. 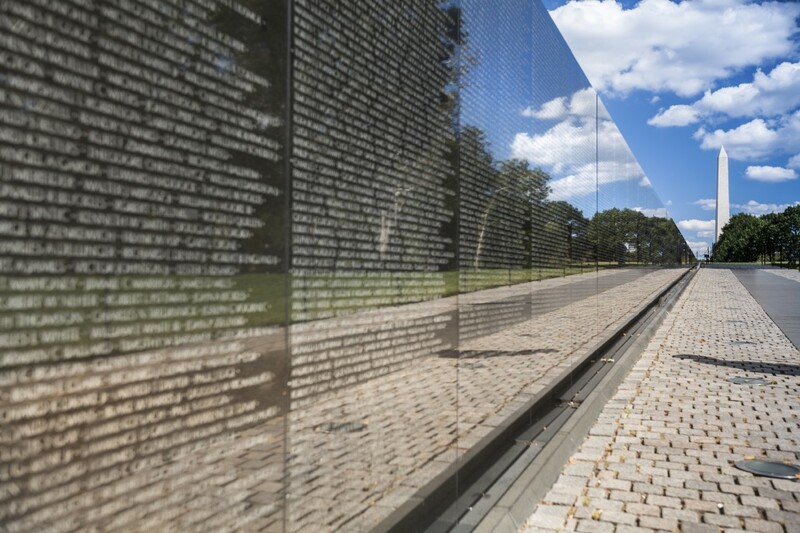 For me, the Vietnam Veterans Memorial is the best example. While the war and, initially, the memorial itself were divisive, the main section was designed in a way that provided a place for people of all persuasions to contemplate the past while considering the future. Composed of two walls etched with service member names, it was configured to represent a “wound that is closed and healing.” It was also given smooth surfaces that reflect people standing nearby, symbolically bringing the past and the present together. Worse yet, data dug up by the Southern Poverty Law Center show that most of Confederate monuments did not exist until decades after the end of the Civil War. Installation peaked in the 1910s and 20s, when Jim Crow laws were being enacted, and the 1950s and 60s, when the Civil Rights Movement was gaining momentum. The Charlottesville statue, finished in 1924, might have been more a tribute to nationalism and racism than to a Southern soldier. The statue’s defenders underscored this by chanting “Blood and soil” and “Jews will not replace us” while on their way to Emancipation Park. The question now is what to do next. For what it is worth, I offer my peculiar perspective. While I spent the first 35 years of my life in the United States north of the Mason-Dixon Line, I have also lived three years in Alabama, a former Confederate state, and the past 20 some in Maryland, a slave-holding state that stayed with the Union but played a complicated role. Moreover, I was born in Latvia, which has its own divisive history and, not surprisingly, a similar monuments problem. Putting all this together, I would like to make three points. Consider the Victory Memorial to the Soviet Army. Situated in Riga, Latvia’s capital city, it celebrates a win by Communist Russia over Nazi Germany. While Latvians were expected to love it, it did not have the desired effect. You see, this victory was accompanied by the Russians re-occupying the Latvian homeland, which, alas, lasted from 1944 to 1991. (The original name was “Monument to the Liberators of Soviet Latvia and Riga from the German Fascist.”) Moreover, the monument was completed in 1985—some 40 years after the fact—during Perestroika, a reform movement that loosened the Soviet stranglehold on Latvia and strengthened the push for independence. So certain parallels with Confederate monuments can be drawn. Which is why I can dismiss a suggestion that the Friends of C’Ville Monuments made, stating Confederate statues could be improved simply “by adding more informative, better detailed explanations of the history of the statues and what they can teach us.” Apart from the fact it is unlikely that the real reasons monuments were erected would ever be included, attempts to summarize the complete story of the people and events being commemorated is way too much to ask of, say, a poor plaque. Historical context is best left to museums. 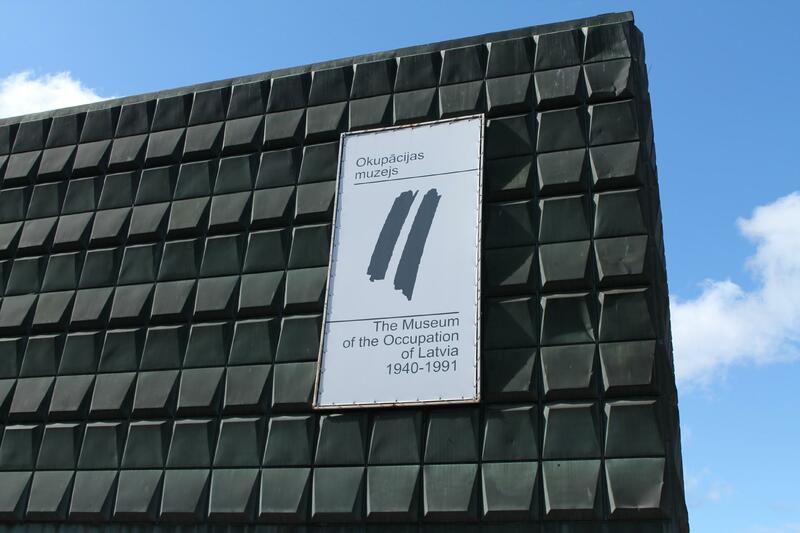 Fortunately, there are two large ones that fill this need: the National Museum of African American History and Culture in Washington, DC, which opened its doors just last year, and the Museum of the Occupation of Latvia, which has been around in Riga since 1993. Knowing that the past is replete with missing monuments, those wishing to preserve particular ones put restrictions in place. This is often an imperfect deterrent. Officials in Riga reference a 1994 treaty with Russia as reason the Victory monument must remain, leaving it to radical nationalists to try—unsuccessfully—to burn it down, then blow it up. Much like officials in Durham, North Carolina, who cite a 2015 state law, then leave it to protestors to successfully— albeit with some arrests—pull down a Confederate statue and stomp on it. Officials also bring up cost and logistics considerations. According to one report, there are still over 700 Confederate monuments in public places. And monuments can be massive. The Victory memorial includes two statues and a 260-foot obelisk that some say resembles the Citadel complex from the video game Half-Life 2. Of course, there is nothing quite like a crisis to grease the wheels of government. Unless, in the United States. it is being put to shame by a black woman. Citing public safety concerns in the wake of the domestic terrorism act that capped the Charlottesville rally, Baltimore mayor Catherine E. Pugh—with no public notice, no fund-raising, no re-loction plan—”quickly and quietly” had construction crews remove all four Confederate statues. Which led University of North Carolina history professor David Goldfield to say that this could be part of a “rolling cascade” of cities and states ridding themselves of or relocating such statues. Which seems to be what is happening. Just because a monument is gone does not mean it is forgotten. According to Kruk, communists still flock to the spot in front of the government building where the Lenin statue once stood, celebrating his birthday and the anniversary of his death as well as Revolution Day by laying flowers on an empty walkway and foiling plans for a new monument to fill the space. So even if the Lee statue is removed from Emancipation Park, I would not be at all surprised to see some strange combination of white supremacists and Lee devotees congregating there. And installing, say, a more acceptable version of the current Emancipation Memorial or something showing the release of Latvians from the Soviet yoke might only make matters worse. You see, both the United States and Latvia are deeply divided nations for reasons that date at least as far back as the Civil War and World War II, respectively. According to some, the 2016 election revealed “two large coalitions, roughly equal in size but radically different in demographics and desires,” with “race and identity as the main political dividing line.” Similarly, there is a serious split in my native land between ethnic Latvians and ethnic Russians, with the former constituting about 62 percent of the population and latter representing the largest minority at about 27 percent. Moreover, there was a drop in ethnic Latvians from 77 percent in 1835 to 52 percent in 1989, and this is attributed to the Russian occupation. As a result, Russian residents have been subjected to a range of discriminatory practices, including those regarding the granting of citizenship. It seems to me that new types of monuments must be built that allow both sides to acknowledge past losses and heal old wounds that prevent them from moving forward. That would require honest national conversations from which a shared vision of the future could emerge. But even if that cannot occur anytime soon, there could be some agreement to construct a few monuments, large and small, along the lines—but not in imitation of—the Vietnam Veterans Memorial, providing both nations with places of temporary respite. Note: Optimist that I am, I can see a day when people with different perspectives can, at least, smile at some of the inherent ironies. The Robert E. Lee monument in Charlottesville, for example, was created by the combined efforts of Henry Shrady, a New York sculptor better known for his memorial of Ulysses S. Grant, and Leo Lentelli, an Italian immigrant. And the Victory monument in Riga commemorating Nazi defeat was designed by Lev Bukovsky, who had once served in the Latvian Waffen SS Legion.